Shyloh Belnap: Check out these layouts! 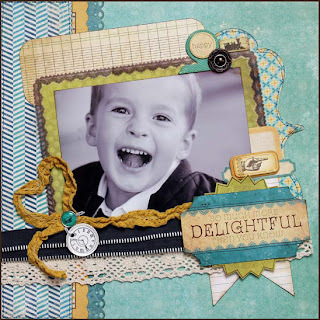 The My Minds Eye Newsletter had these new layouts and I couldn't resist sharing! 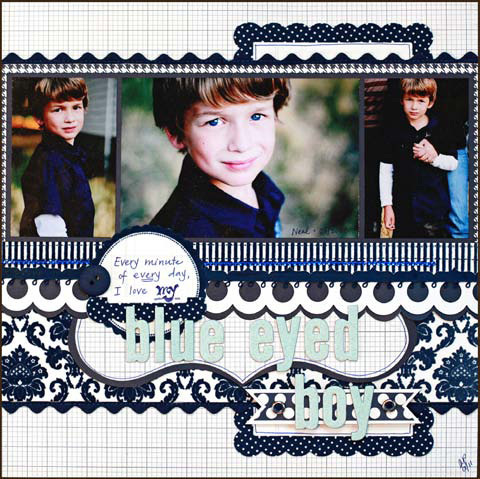 All of these layouts feature the new My Minds Eye products available to purchase HERE. And, I just talked to them. They will be ready to ship next week! 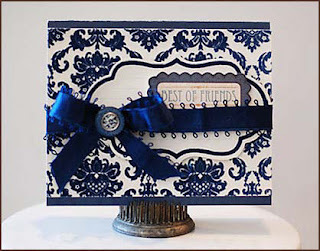 Also used: Sewing machine, pop dots, brown ink and pen, tag, corner rounder, scissors, adhesive. 1. Cut papers to sizes listed above. Ink edges. 2. Add herringbone strip to left side of page. If you are going to sew, do not place adhesives to edges. 3. Trim Tapestry paper into bracket shape. 4. Adhere bracket paper to layout on an angle about 1” from top and 3/4” in from right side of page. 6. 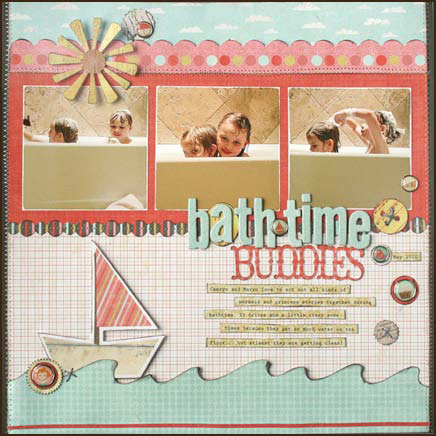 Add lined and green dot papers - round edges. 7. 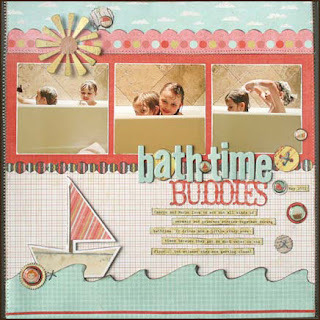 Trim transparent frame and layer around photo mat. 8. Trim zipper to 7”, crochet trim to 11 1/2” and yellow- green crochet to 14”. Add as shown. 9. 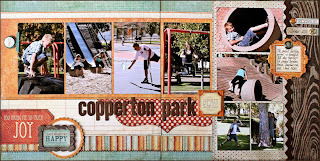 Layer journal card, photo, stickers, brads, chipboard elements as shown. 10. Doodle in brown pen on titles. 11. Adhere together and add to layout using pop dots. 12. Add journaling on lined paper.ENJOY! Here's another Amber Packer masterpiece! Jana Eubanks designed this fun one! 1. Ink all papers and with brown ink. Do not place adhesive behind the areas that you will be sewing. Wrap the ends of threads behind the papers and secure with tape or adhesive. Use 2 “Little Lady” Fine Flowers Papers (B side) for the background. 2. Cut 2 pieces each of: 6” x 12” “So Sweet” Herringbone Paper (B side), 3” x 12” “Joy” Crocheted Paper (B side), 1 1/4” x 12” “Play” Silly Striped Paper. Adhere to both pages, overlapping the edges just a bit. Cut 3” off of “So Sweet” Plaid Die Cut Paper (B side), and tuck it under the edge of the orange Herringbone Paper (cut in half where the pages meet). Sew its edges before adhering to the page. 3. Cut a 2 1/2” x 12” piece of “Joy” Wood grain Paper and a 6” x 12” of the B side. Adhere to the right side of the right page. 4. Adhere the Cream and Orange Lush ribbon along the top of the pages, wrapping the edges to the back and securing with tape. Adhere the brown rick rack along the papers on the right page. 5. 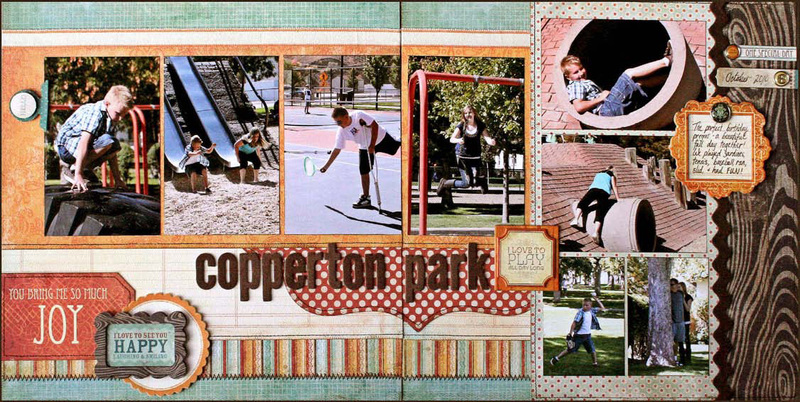 Add photos, stickers, chipboard, and titles to the page. Adhere a piece of the lines “Joy” Crocheted Paper (B side) to the back of the orange frame for journaling. Insert brads.